Every child develops at his or her own pace and that is what the Kindervilla Wereld also has plenty of room for. To follow and stimulate the development of your child, we use the so-called Pyramid method. 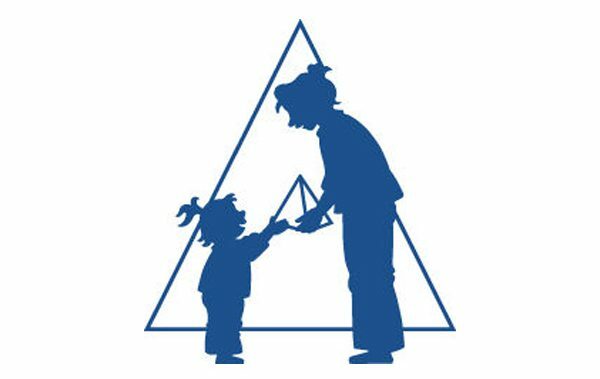 Pyramid stimulates young children in a playful way in their development. Through a combination of free play and joint activities they grip the world in a pleasant and safe environment. In this way, Pyramid offers every child the chance to develop optimally. The method is suitable for all children from zero to seven years, from the nursery to group 3 of the primary school. You can not give them a better start! Pyramid focuses on all development areas: in addition to intellectual development, ample attention is paid to the emotional and motor development of your child. Children want to discover the world and learn new things. This “independent learning” is encouraged and supported by Pyramid. The leader provides a pleasant learning environment in which children can make their own choices. Free play is central to Pyramid. Your child chooses for itself what it will do. Maybe it wants to play with children in the construction corner, or rather in the home corner. Where necessary, the leader helps a hand to make a choice out of all that fun. Even if the game threatens to get stuck, the leader jumps in, for example by playing along for a while or by contributing new ideas. Pyramid is built around projects. The teachers use a different project book for each project that is full of ideas, games, songs and suggestions for the design of the corners. The subjects of the projects are very different, but they have one thing in common: they come from the world of children. The year starts with the Welcome Program in all groups. In this, the children become familiar with all rules and rituals and learn, for example, that all things in the room have a permanent place. The Welcome Program gives the children a firm grip and a safe feeling in the new group. Then following projects with different themes. These themes return every year in a fixed order, but each time on a higher level. The children are working on a project for a few weeks. At the end of the day the teacher takes the day with the children and looks forward to what is on the program tomorrow. Good contact between you and the teacher is very important. A natural moment to catch up, is during the bringing or picking up of your child. During parent evenings and 10-minute conversations about your child with the leaders, the development of your son or daughter will be discussed more extensively. At Pyramid the contact with the parents goes one step further. There are special moments in the year in which you can participate in certain activities within the group. There are also nice tips for each project, with which you yourself can work with your child at home. The teacher keeps an eye on the development of every child. An observation list is kept on the basis of daily contact. The observation list gives you and the teacher a good starting point for the next development steps. This way your child gets the optimal guidance it deserves. Pyramid is an educational total method of Cito. Materials have been developed for the method that can be used by all nurseries and primary schools. From independent scientific research from the University of Amsterdam, the University of Groningen and the SCO-Kohnstammin Institute it has been proven that the Pyramid method is effective. Independently conducted research at Dutch universities, among others, shows that Pyramid is an effective method. Children who follow the Piramide method from the playgroup, appear to be making strong progress in their development. Stronger than the toddlers and preschoolers in the control groups. There is also growing interest in Pyramid abroad. Recently a start has been made to apply Pyramid in Japan, Germany, Belgium and the United States of America.